Have you ever gone to a party with your friends, grabbed a beer from the cooler, taken a sip and almost spit it out? We’ve all been there. A bad beer can ruin anyone’s night. Our dedicated staff here at The Balanced Review set our sights on the all-important question – how do you consistently enjoy high-quality beer without the headache of struggling to find the few “diamonds in the rough”? Joining the Beer of the Month Club turned out to be the solution. Beer is the world’s most widely consumed alcoholic beverage. It is also the third most popular drink overall, after water and tea. More recently, craft beer has been treated as seriously as fine wine. According to the Beer of the Month Club, “World-class beer has all the complexity and food compatibility of wine and at half the price!” Isn’t it about time you started treating your loved ones to quality beer? The quality of all beer is very important to those who drink it. How do you like your beer brewed? Are you a pale ale type of person or do you prefer a lighter beer such as mild? 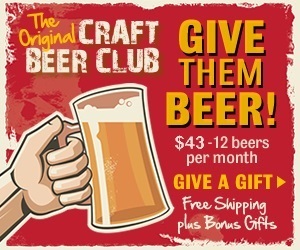 Regardless of your taste, you’ll love what the Craft Beer Club has to offer! A great-tasting craft beer can be hard to come by, but with the Beer of the Month Club, you will never have to suffer through a bad tasting beer again. Once you experience America’s hard-to-find, outstanding brews, you’ll never want to go back to plain old “regular” beer. What’s So Great About Beer of the Month Club? 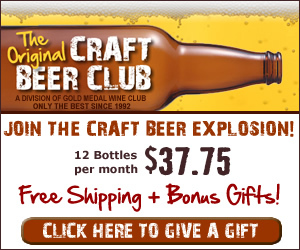 Once you sign up, you will receive a monthly shipment of 12 world-class craft beers. Each 12-ounce bottle contains four different styles, with three bottles for each style. In addition to your beer of the month, which is always shipped to your door, free of charge, you will receive a monthly newsletter. This newsletter provides you with the story behind the beer you received for that month. You will also find out what is in the beer you’re enjoying and where it originated. What Sets the Beer of the Month Club Apart? Take it from someone who’s received many great Beer of the Month Club reviews, you will be missing out if you don’t sign up. Members are so happy to be a part of such a great company. Beer of the Month Club has even been recommended on ABC’s Good Morning America. The quality that you receive with this craft beer club is unlike than any beer of the month club you’ve experienced before. You will enjoy the best selection of premium craft beers, a monthly newsletter, and door-to-door delivery for a very low price—only $37.75! You also have the potential to receive up to three bonus gifts just for becoming a member! We here at The Balanced Review wholeheartedly recommend taking a chance on the Beer of the Month Club. You have nothing to lose but bad-tasting beer. With more people realizing that the internet is now a great way to buy wine, whether you are trying to add some wines to your wine collection or buying a bottle or two of wine for a friend, wine clubs are becoming the way to acquire wine. The wine club business has been booming and it seems that overnight wine clubs are becoming more and more popular with people of all size budgets. People are quickly finding out about the convenience of door to door shopping and the affordability of wine clubs. At The Balanced Review we decided it was time to find the Best Wine Club and share our results with our readers. We have chosen Cellars Wine Club as the best wine club. Cellars Wine Club is the perfect and best choice for wine collectors, wine enthusiasts and wine gift givers. With one of the largest wine club selections, they have a wine club program for every size budget. Each wine club provides flexibility and customization for the wine enthusiast. Whether you are a novice wine enthusiast or an expert on all types of wine, with a bold new and exciting selection every month, you will find wine club that is perfect for you. And every wine club is available as a wine club gift membership. As a club member, you can select white wines, red wines or a combination shipment each month. The flexibility is better than any other wine club. What we like best about Cellars Wine Club, in addition to the flexibility of wine choices, is the flexibility of the pricing. Club memberships range from $19.95 to $149.95 a month. And yes, this price includes the shipping and handling costs! -Monthly costs are between $19.95 to $149.95 – a club for every budget! -Monthly costs include shipping and handling fees. -Unlike most other clubs, memberships have no minimum length. You can cancel at any time. The Balanced Review gives the Cellars Wine Club its highest recommendation. It is truly the best wine of the month club available. Enjoy!